A sleek and contemporary statement ring design created and expertly crafted by Julian Stephens from a beautiful combination of precious materials. 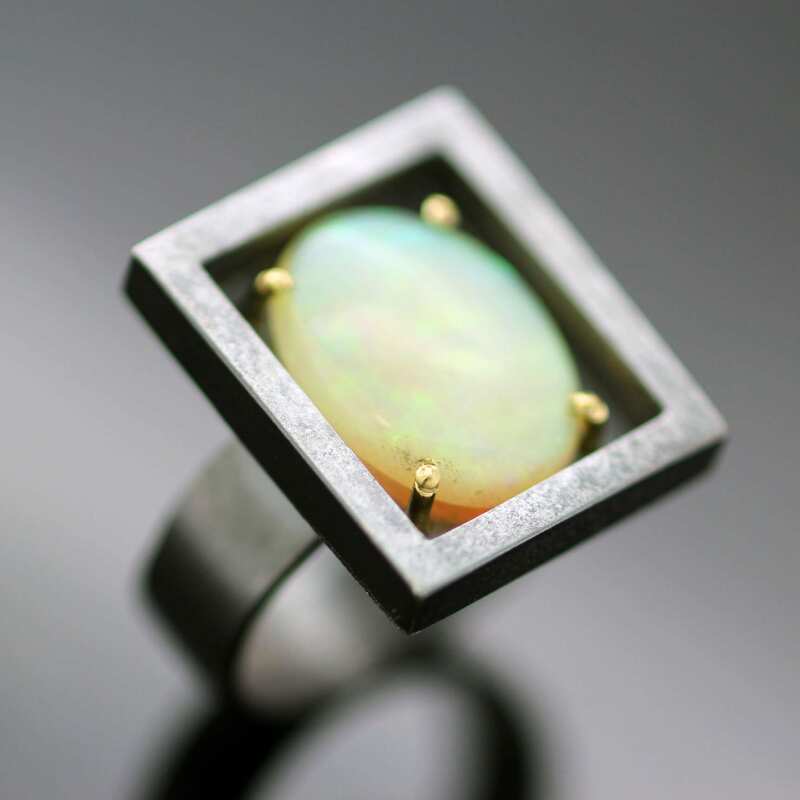 Showcasing a glorious Cabochon cut Australian 4ct Opal, mounted with solid 18ct Yellow Gold posts and carefully framed in oxidised Sterling Silver, resulting in an intriguing and unique pendant modern statement ring. This minimal and sleek cocktail ring features a chunky handmade shank which is oxidised to match the oxidised, matt effect Sterling Silver pendant setting. 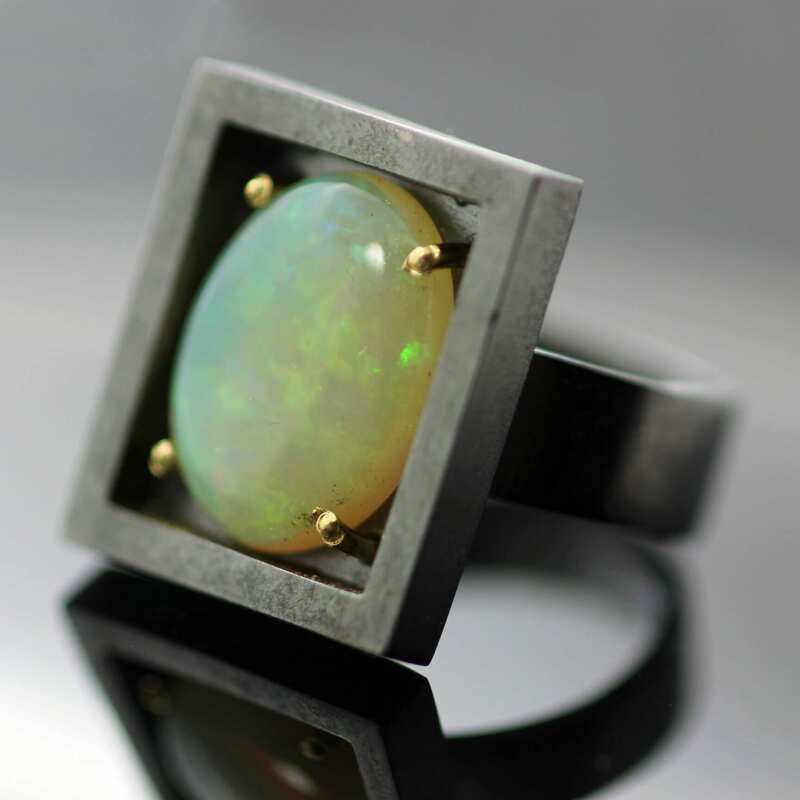 This Opal ring is handcrafted with the utmost care and reverence for the precious materials used to create this contemporary design.